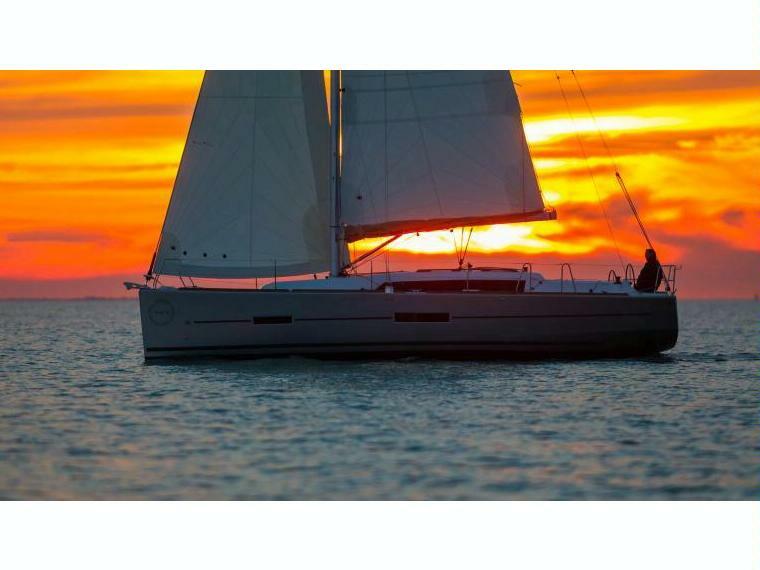 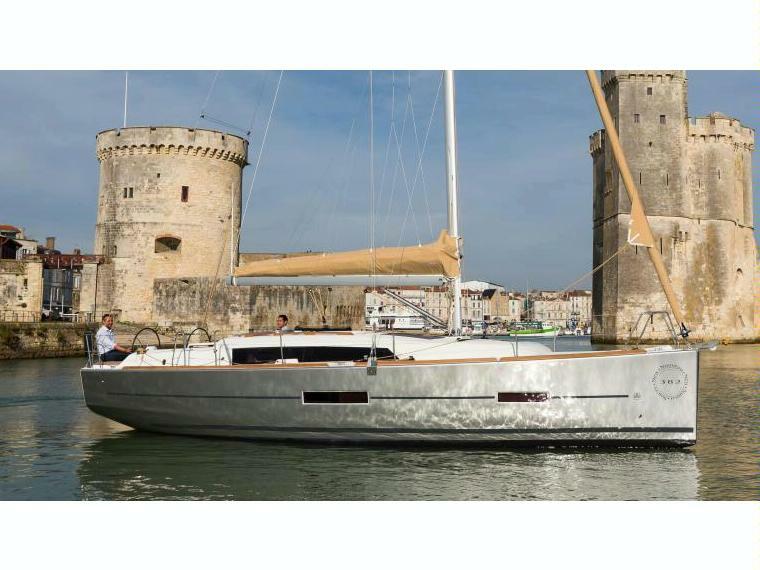 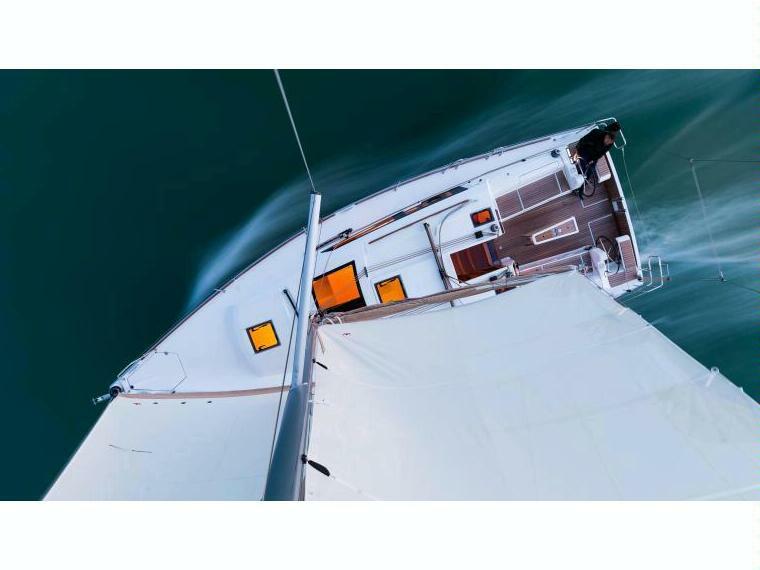 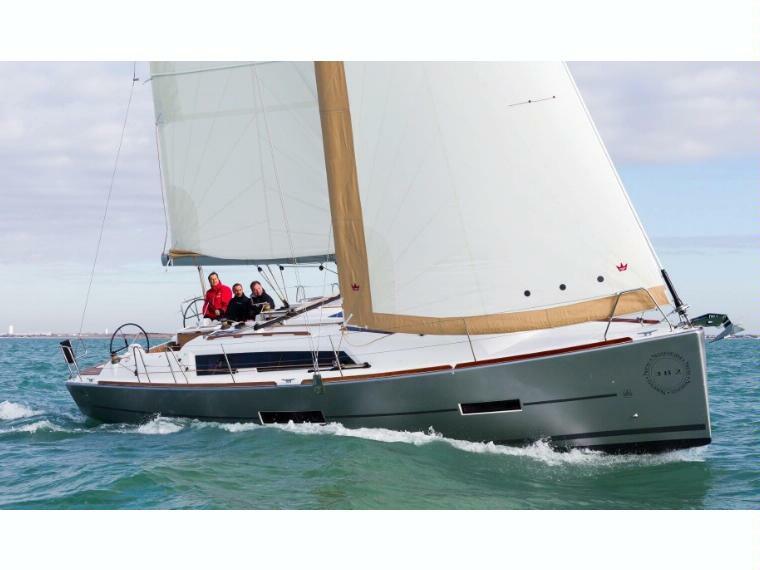 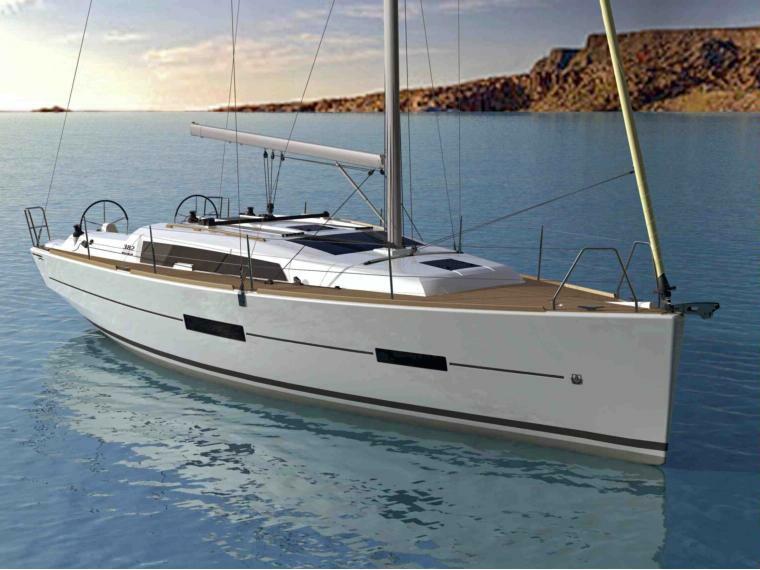 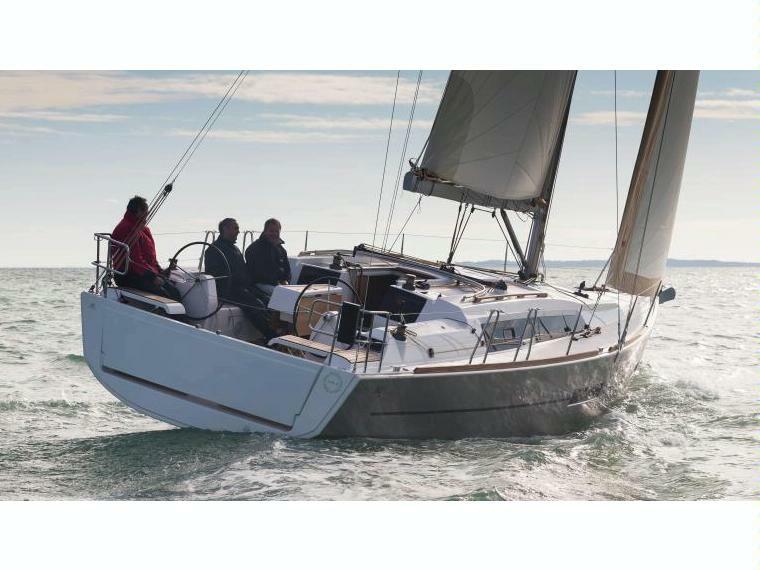 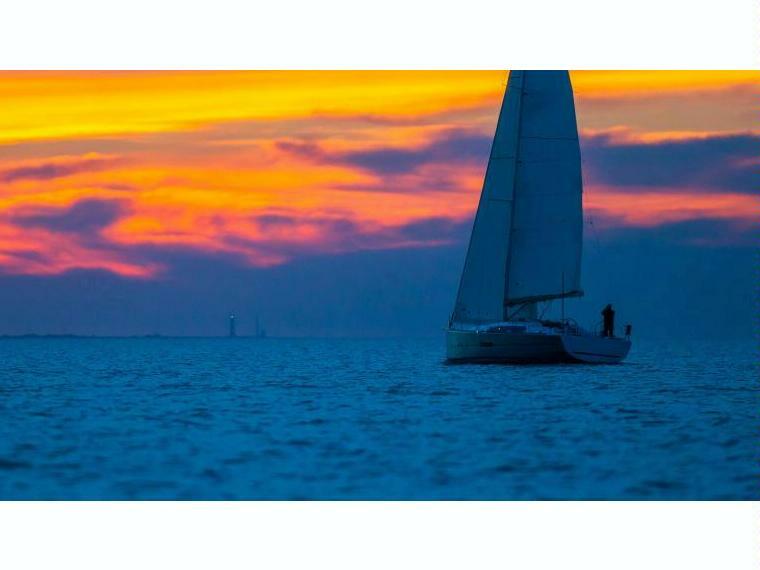 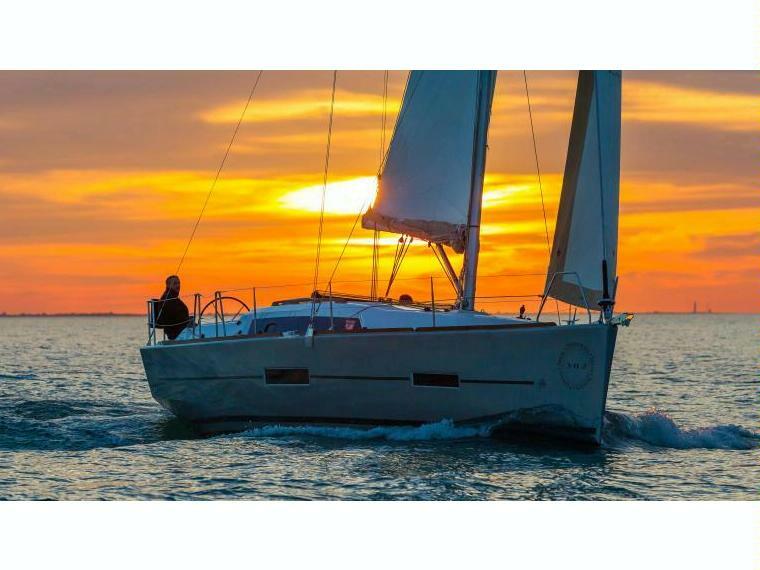 Dufour set out to design and engineer a sailboat that was able to give maximum performance while not compromising for the onboard comfort they are renowned for. 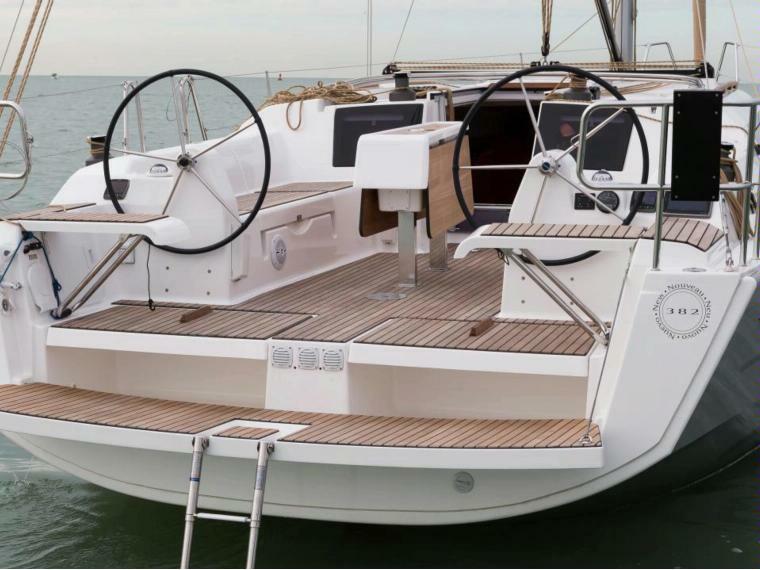 The outer deck features seating that can accommodate 8 people and also a swimming platform in the bow for easier access to the water. 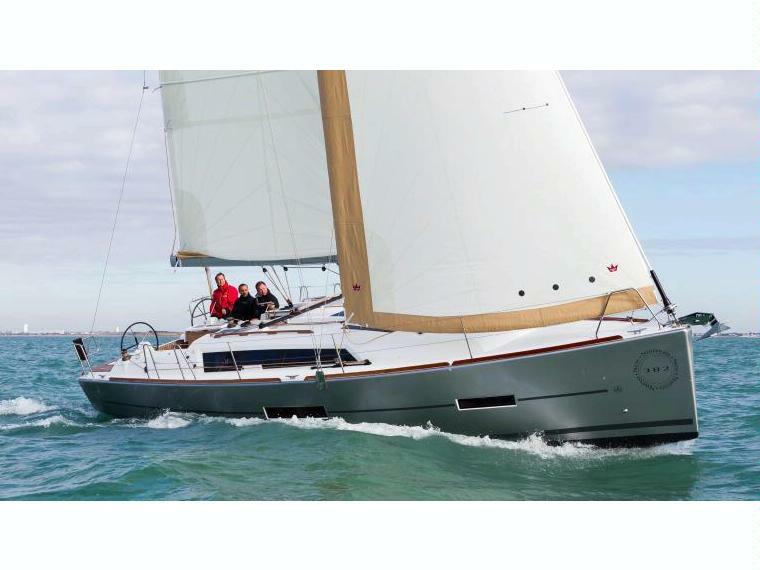 Safety was also a main concern when creating the 382 Grand Large. 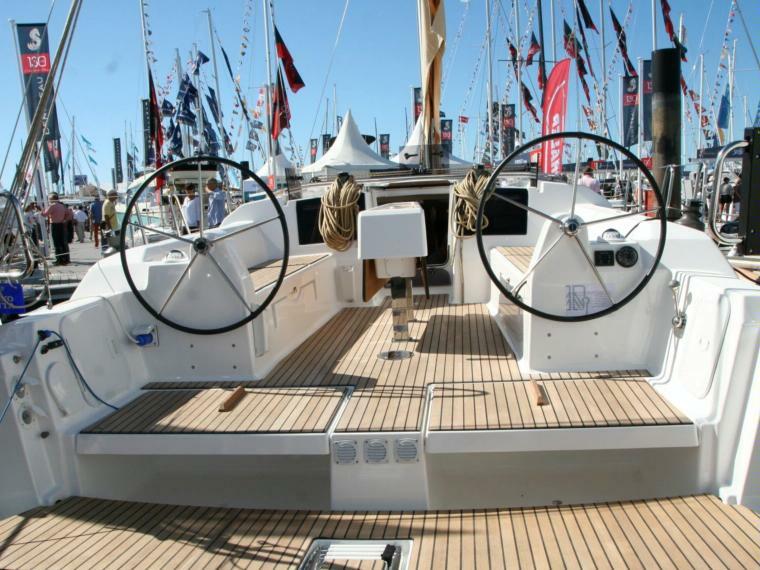 There are high, sturdy handrails placed around the outer rim of the boat. 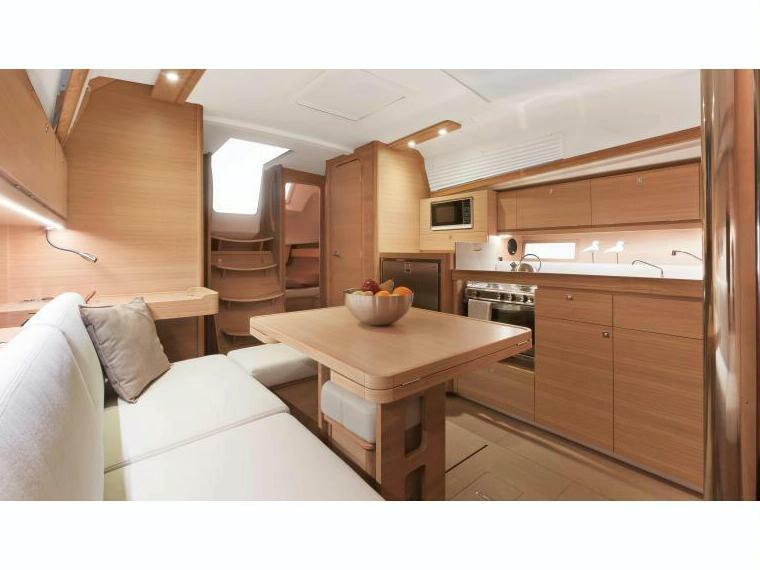 There is also non-slip flooring placed around the entire exterior. 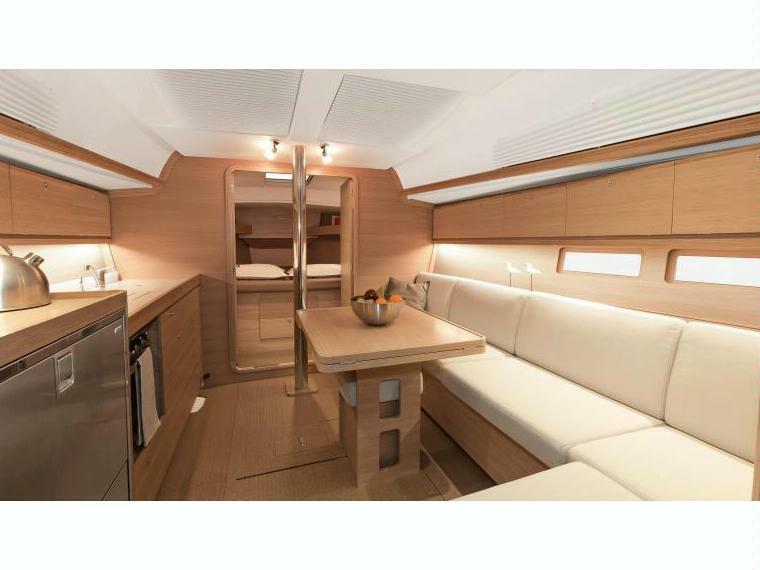 The sleek design of the exterior is what separates this 382 model from all other competitors in its class. 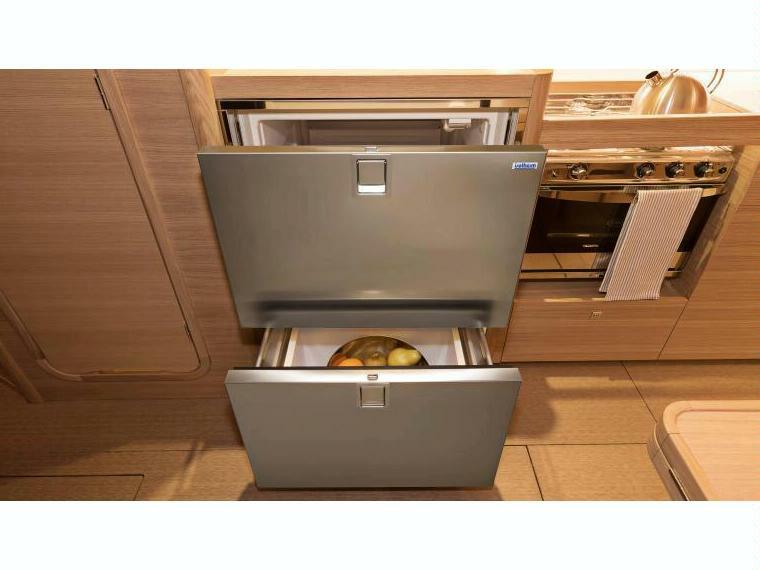 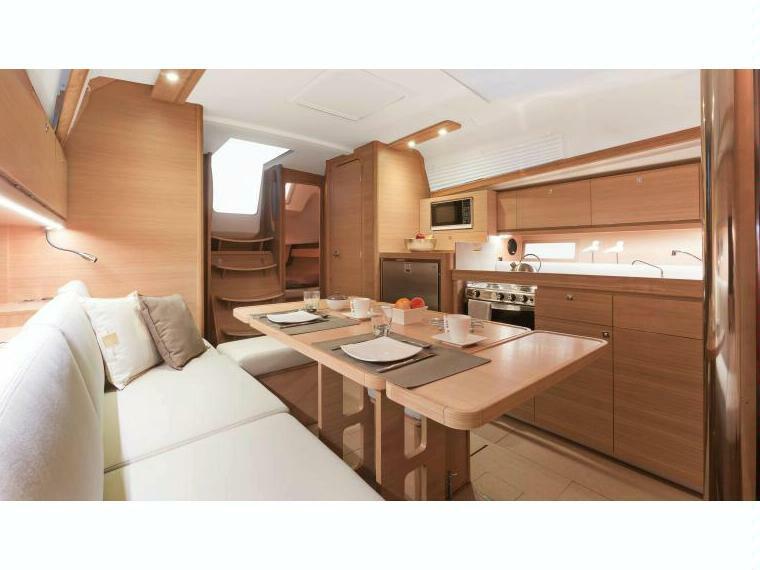 Inside, step into an interior that displays the boats true luxury and comfort. 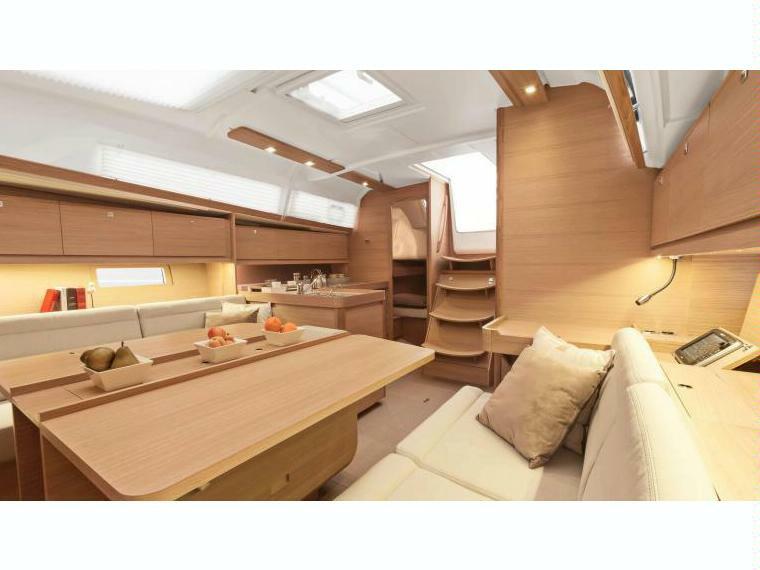 The main saloon offers a sofa on both sides with a foldable dining table placed in the center. 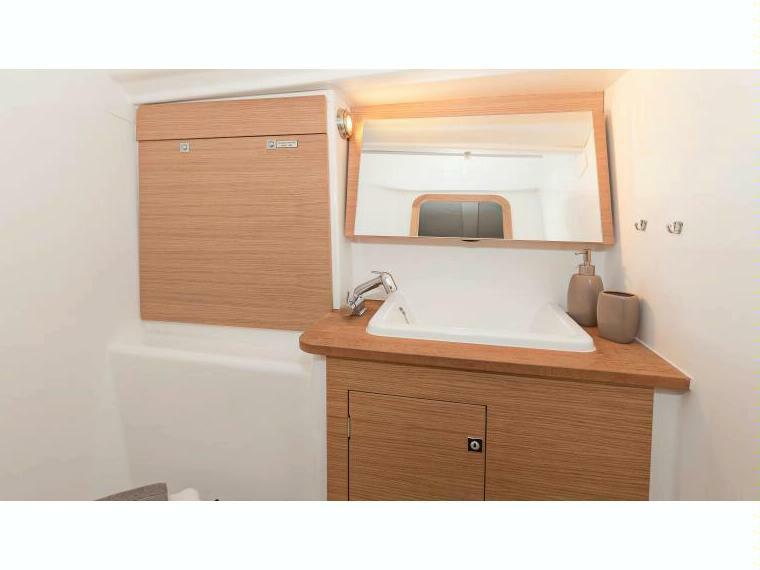 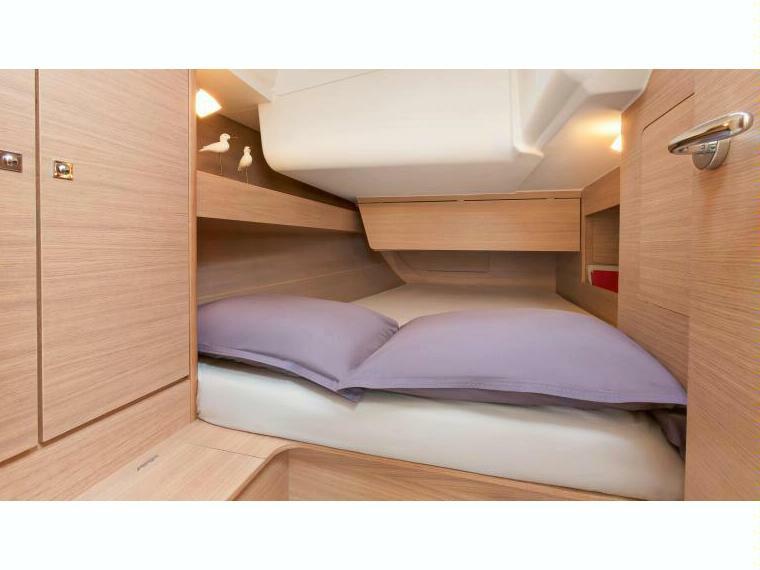 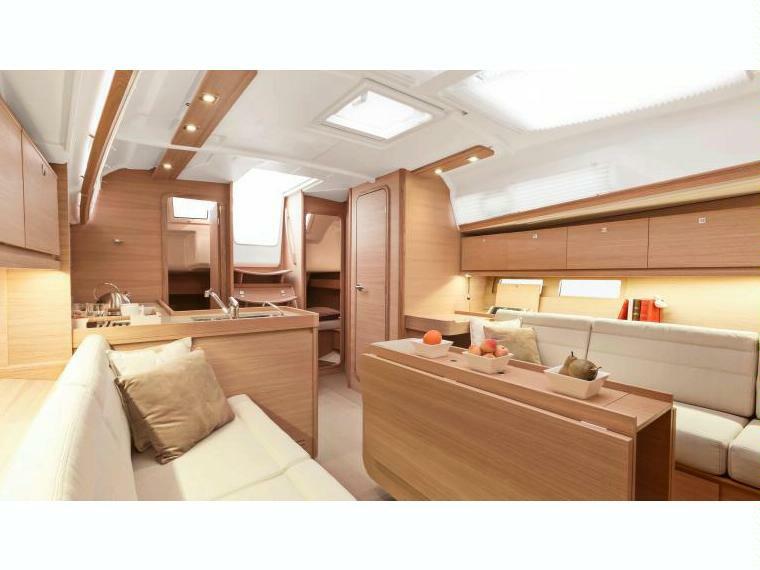 There is a light oak wood finish throughout the interior which helps bring a cozy feeling to those on board. 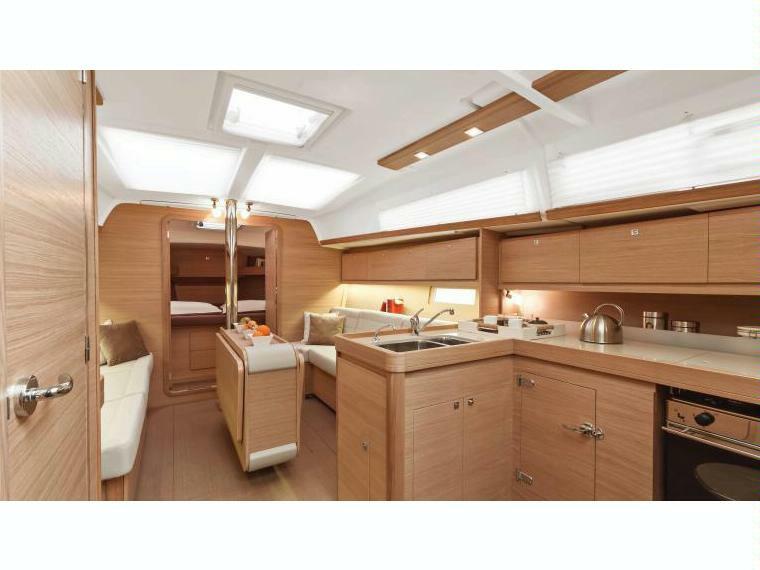 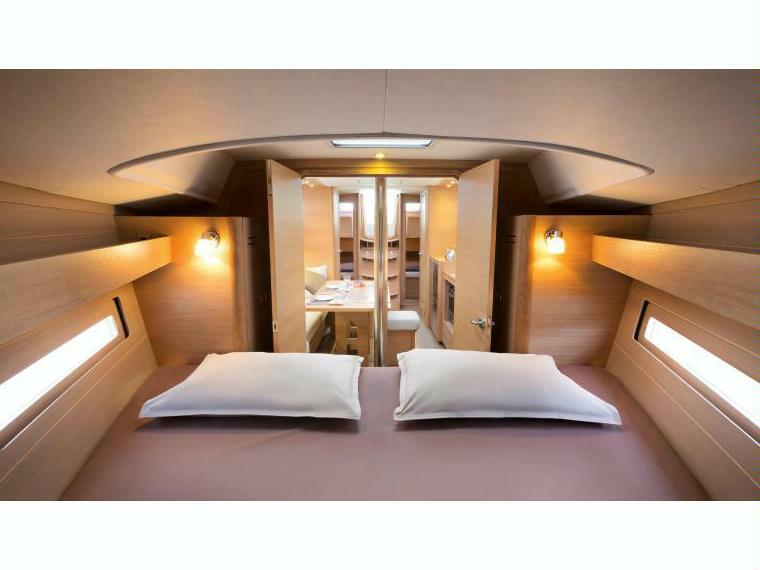 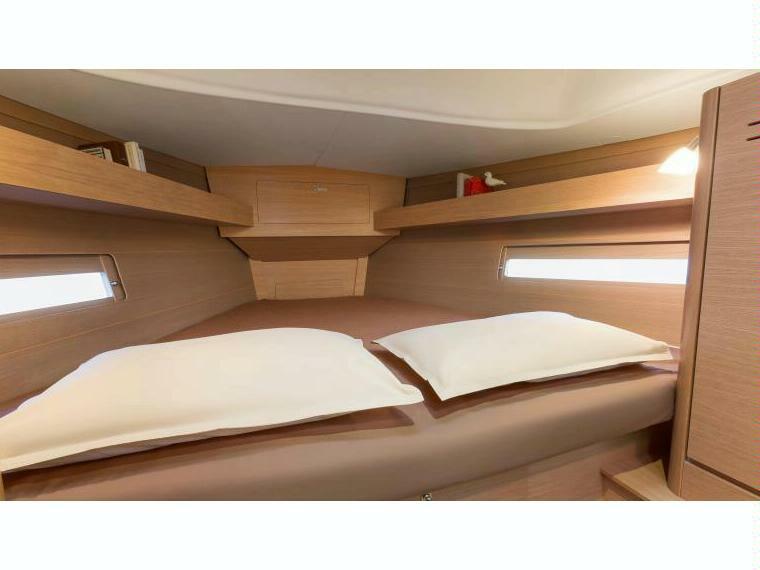 The main cabin can comfortably sleep two and has windows to allow for natural light to fill the cabin. 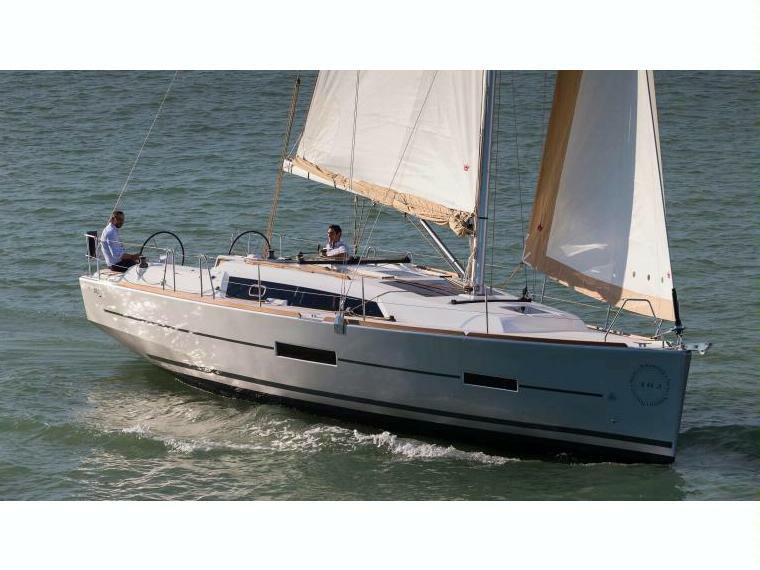 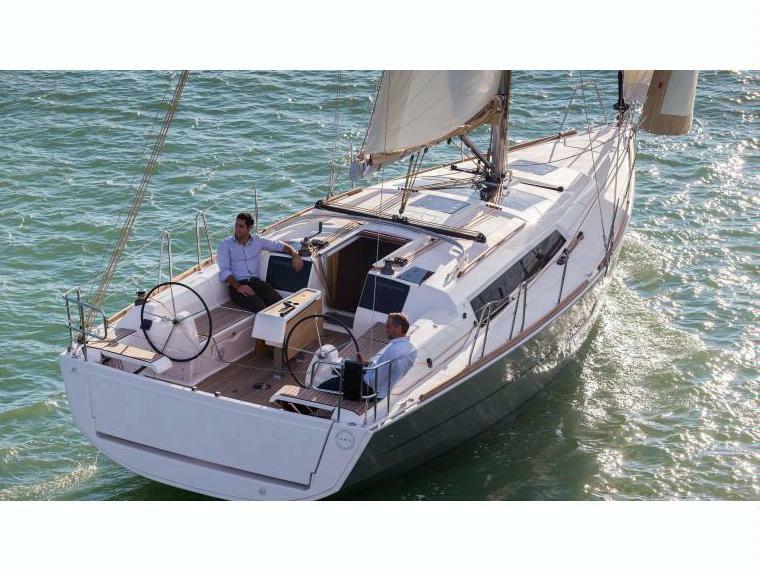 Take on the open waters in high quality performance and comfort with the 382 Grand Large by Dufour.